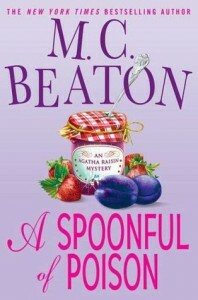 I'm getting a bit bored with Agatha Raisin now, but I'm determined to finish the series and I am close. Still a break from serious reading, but I have to admit that while reading it on the train I was hiding the cover. Just a bit embarrassed reading this kind of book. Not really mind stretching.